Mercury Electra 6G is a 2.5-inch SSD equipped with SandForce controller and features highest quality components including Tier 1/Grade A NAND which deliver up to 556MB/s reads and 523MB/s writes speeds. The drive is packed with Error Correction Code (ECC) and SandForce RAISE technology, also offers TRIM support. It can be incorporated into a RAID 1 or SPAN configuration. 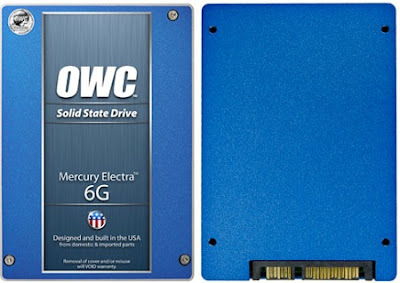 The Mercury Electra 6G has a price tag of $129.99 for 60GB and comes in 120GB @$199.99, 240GB @$449.99 , and 480GB @$894.99 with 3-year warranty. Mercury EXTREME Pro 6G SSD is Designed for prosumers and A/V, photography and graphic production professionals. It offers sustained data transfer rates of over 500MB/s in addition to 479MB/s for incompressible data rates. It can also be incorporated into a RAID 0, 1, 10 or SPAN configuration. 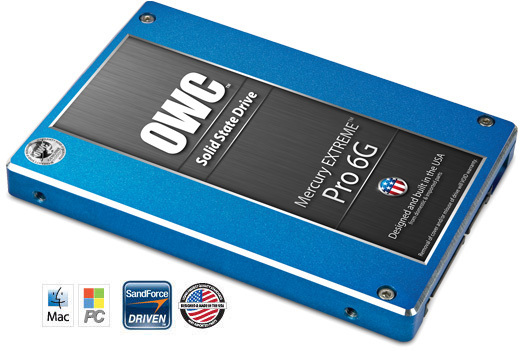 The Mercury EXTREME Pro 6G SSD is available in 120GB, 240GB and 480GB capacities with a price tag of $297.99, $569.99 and $1279.99 respectively backed by 5-year warranty. Tags: Owc ssd, OWC Mercury Electra 6G SSD, Mercury Electra 6G SSD, cheap ssd's, low price ssd's, low cost ssd's, solid state drives, cheap solid state drives, low price solid state drives, low cost solid state drives, cheap ssds, low price ssds, low cost ssds, Mercury EXTREME Pro 6G SSD, owc Mercury EXTREME Pro 6G SSD.